It took a while to put together teams for this one, but an odd combination of circumstances with different team mates left 2 3 person teams together for this race. I was racing with Craig Sheriif who joined Junos Reed and me after Jeff Leininger was injured in a race the week before. We would race as Tequila on Tuesday. Julie Ardoin, Joe Deutsch and Dustin would join as a second team - Honey Stinger. Jeff had rented a cabin, so we would be starting the race well rested and ready to go. Some logistics problems had the initial prelude canceled, so 35 teams were ready to head out on a long bike leg just after 9. We started near the back of the back and by the time we got out of the TA the leaders were completely out of sight. We headed to the forest road out of the TA neighborhood and started the the long climb up to the IMBA bike trails, picking up a couple of easy CP's along the way. As we were biking along Checkpoint Zero passed us on bike, and then were followed by a series of strong bike teams. As it turns out they had missed the short trail that lead out of the TA and had taken a long way around up to Georgia 60, adding about 4-5 miles to their biking. After about 2 hours of going up we had bit of downhill that went fast and we started into the bike trails. I had previously biked many of these in the USARA race when it started in Blue Ridge and remembered quite a few of them. Of course that was no help with the navigation here, but it did give me a level of comfort. The course had us doing a huge loop to the west before hitting the TA, we would do the loop to the west after a foot leg. 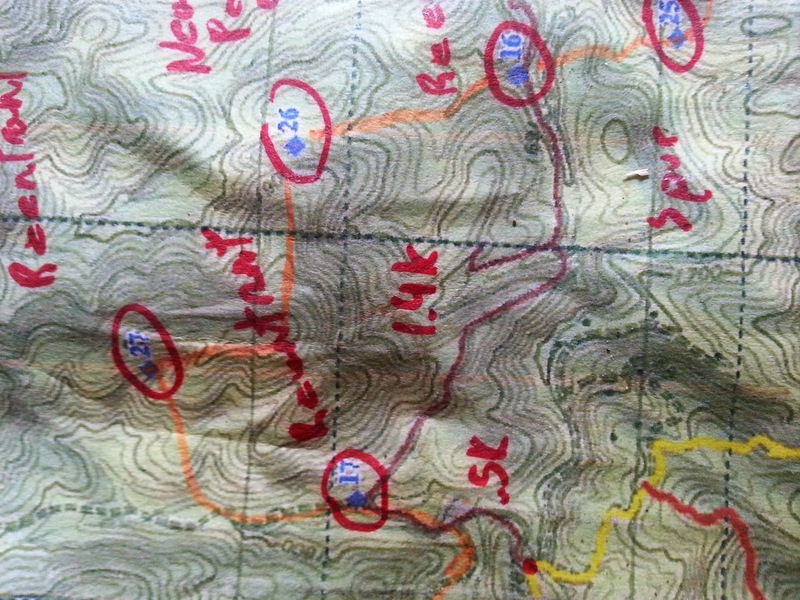 The navigation in this section was challenging, but working with a group of teams we never spent more that a few minutes on any control. Julie was hurting a bit through here, and it was getting quite warm. After about 4 hours Craig was suffering from the heat, and was pushing the edge of heat exhaustion. 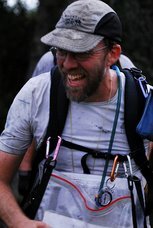 This turned out to be advantageous though as one of the frequent stops to cool off in the streams allowed us to find CP21 that was misplaced and had not been found by many teams. (Greg would later give teams credit for this control if they had done CP20). The bike leg took us 5 hrs 58 minutes. We pulled into the Bull Mountain TA tired but ready to head out on the next orienteering leg. We decided to go clockwise (reverse order) as it appeared to have better attack points for most controls. The rainfall also started along this leg. The approach to these was really to find the best attack point, hopefully close to the control and the. Head in . This worked well until CP24 where were attacking from CP25. We were with the Canyoneeros at this point and had a fun little section where we decided to follow the creek, essentially canyoneering. We split up after that and after some fumbling around in the woods we decided to just head south to the trail backstop. 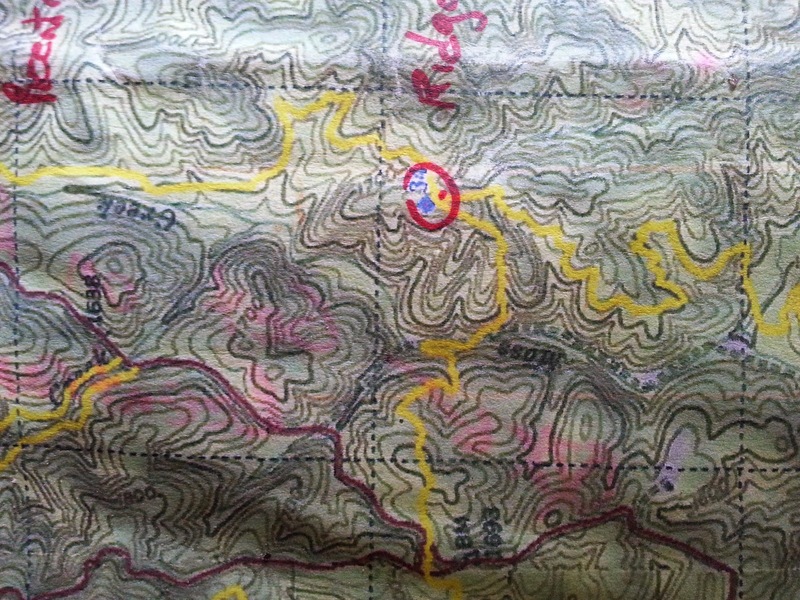 We crossed the re-entrant where the control was but did not spend any time looking and never found it. Canyoneeros did essentially the same route but found the control. Overall the foot section took us 6 hrs 58 minutes. It was tough getting back on the bikes, we had another long bike ride in front of us, and it was now raining. The most challenging control here was 32, located on a saddle. Many teams were looking for this one. 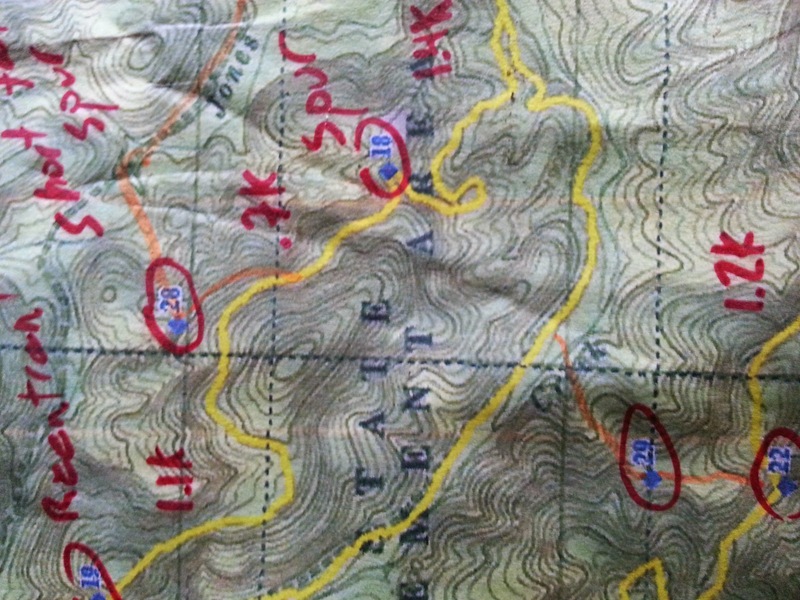 Eventually I punched up to the ridge, located a solid 200 meters from the trail where the CP was mapped, and found it. Most teams had given up at this point. That was a high point, we blew by the next control that we heard was easy, and after a half-hearted try to find CP34, we head west on Moss Creek trail. By now it was raining hard and snakes and rattlesnakes were crawling across the trails. Yes, snakes - it was cold, rainy, and "snaky". There was some fun in the rain, as we were biking we came across the Super Frogs who were warily eyeing a swollen creek. Craig decided he would be able to bike across it, and only had to drop when it reached his seat. The rest of us carried our bikes. Super frogs crossed followed us across, but biked faster than us after that at least I think they did. It was hard to see the single track with all the fog and rain, I was leading and could barely see the ground 10 feet in front of the me even with my super light rig. After we decide to bail on the remainder of the single track, we still had to make it up to the top of the mountain and the next TA. After CP37, this was pretty much a 6k slog up the hill. At this point we were beyond riding, Junos stomach was doing flips, and we simply slowly pushed the bikes upwards. It was foggy with about 20 foot visibility, and raining and miserable. While trekking we all heard the loud sound of a tree cracking. Craig, Junos, and I headed for the opposite side at a full run until we heard the loud crash of the tree falling. It is amazing how quick adrenaline can make you move even when you are exhausted. It took nearly 2 hours in our condition to make the top where we were able to finally ride into the TA. The total bike leg took us 6 hrs 17 minutes. The fast teams who got to do that section before the rains hit probably enjoyed it a lot - those trails would have been pretty nice before they got muddy. By now it was raining hard, but we had a big dry u-haul trailer at the TA. The team joined about 5 other teams sleeping and resting in the u-haul (2 hrs and 46 minutes). I was sleepy and passed the time chatting with other teams about the course and how we were tackling the other checkpoints. 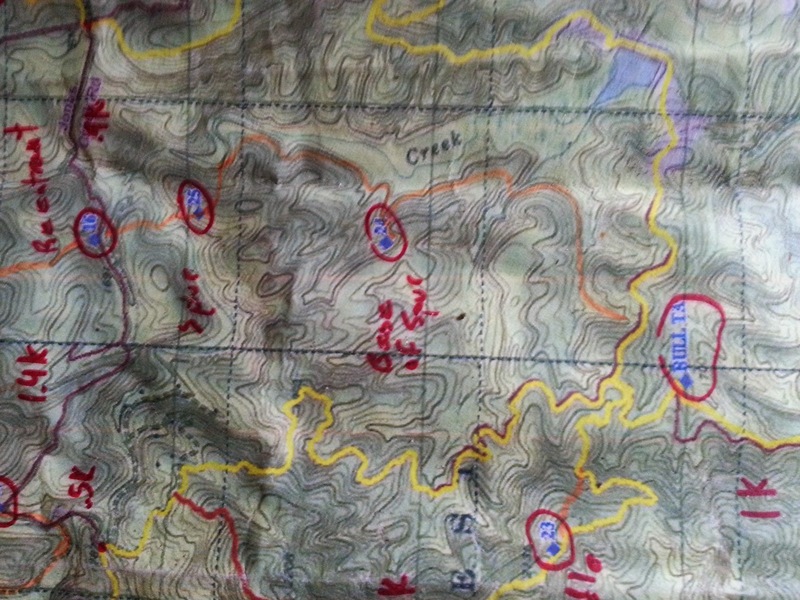 We entirely skipped the second orienteering, and I gave my map to the Canyoneeros who had somehow lost theirs. After some rest everyone was recovered and we headed out some time after 7. The remaining bike ride was easy and thankfully downhill. The only event was me trying to convince the team we needed to get CP11. The sun was now out and the rain had stopped. 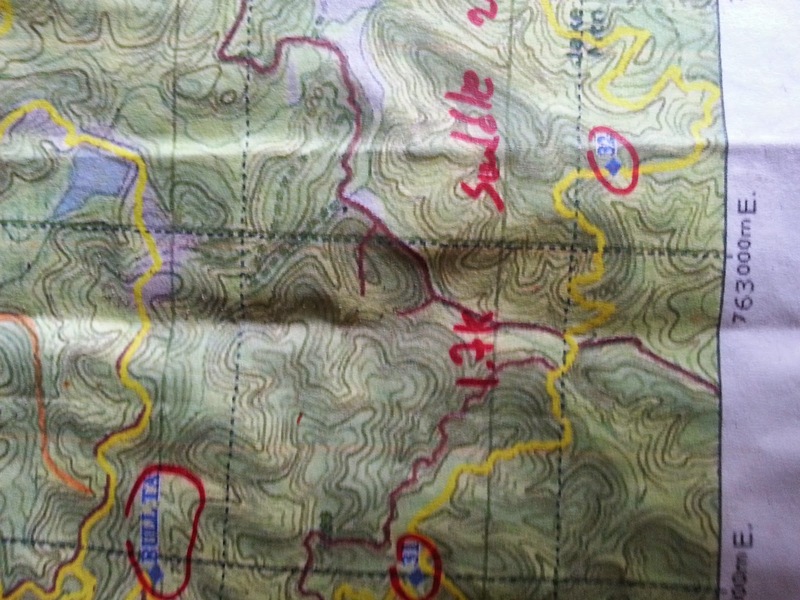 We made quick work of the final bike checkpoints, I had mapped them on a wet map so they were barely visible on my map. 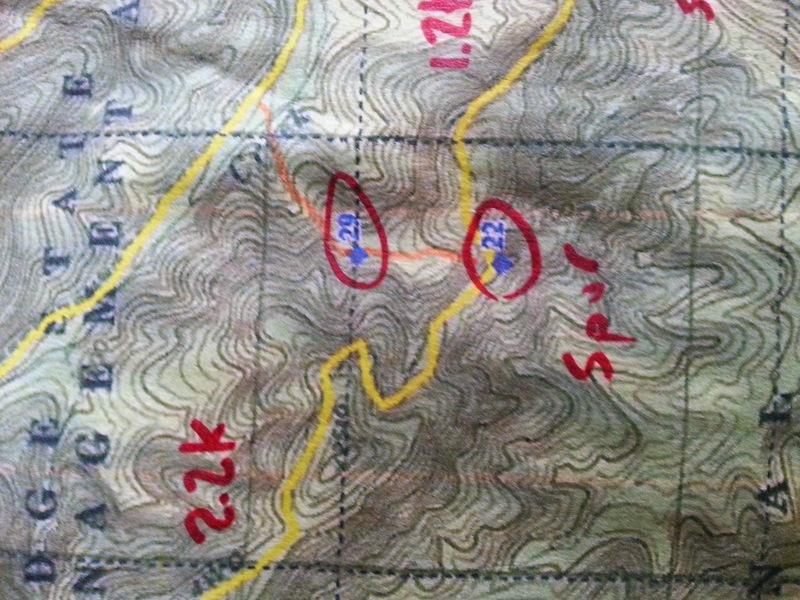 Dustin had done a better job of mapping them and navigated this section nicely leading us to the final leg, the paddle. The paddle leg was pure fun for me. We only had a few mile down the Toccoa, but we going to be able to do the rapid under the Benton-McKay swinging bridge. Craig was steering from the back of the boat and Junos was in the front. I usually sit in the front with Junos in the back when we do whitewater, so it was fun to watch Junos pick the lines. We did not hit that many rocks, and only got stuck a few times. Luckily I had the video camera our for the best ones. I even got out of the boat to film, we were completely out of race mode as we new we could beat the cutoff. The Honey Stingers had surged ahead of us in the water (1 hr 48 min) and were waiting when we finally pulled out of the water (2 hr 21 min).